Want to know where to go online to find great Law of Attraction blogs? 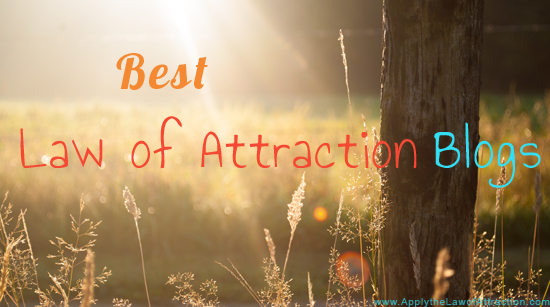 Then you'll be interested in these LOA blogs that help you manifest successfully. What should be added to this list? 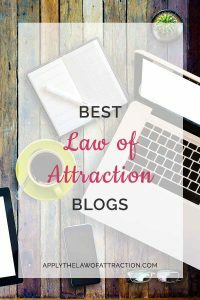 Tell me about your favorite Law of Attraction blogs! If you have a Law of Attraction blog, please share it too. Note: Some awesome blogs were left off this list because they haven't been updated for a while. I’m following your posts and teachings in your site for few months now and I l o v e it!! thank you thank you thank you!! love to get your great posts every week. every post and every word are exactly at the right time for me. I really feel my reality is changing as I want it to be… recently I downloaded your e-book manifesting love, using the techniques in the book and I know that my specific person is in on his way to me… so thank you Elizabeth for everything!! another site I like is http://www.freeneville.com– there are good tips, articles, recordings and such, according to Neville goddard’s teachings (who is really great :)). here 3 links about getting the state of akin to sleep that Neville talks about, which can help to the visualization part and to stay relax and calm in the feeling of the wish fulfilled state. Thanks so much for including Daily Alchemy on your list! I’m honored to be featured there with so many great blogs. Those are great Michelle. Thanks for sharing! Dear Elizabeth, your blog is the best one of all of them! You make things so easy to understand. Your advice is great and honest too. Since I found your site, I have read and re-read your posts and advice to others. You helped me see that I was trying to be perfect based on a law of attraction book I had read by another author who wrote that one must strictly monitor their thoughts and train their mind to the point of perfection. Which isn’t realistic. I was trying so hard to have perfect thoughts that I was actually creating resistance and feeling bad instead of just enjoying myself and trusting. I took the route of ignoring the negative and instead am feeding the positive and letting go and trusting. You point out no one needs to be perfect, to let go, trust, and have fun with it. Thank you Elizabeth! Your blog is the BEST of the BEST!